Got five minutes? That's all the time you need to get a free insurance quote for your tire retreading business. You can also purchase your insurance online which streamlines the insurance application even further. All it takes is a few minutes to get a free quote and purchase your insurance. You can buy insurance on your own without any need for a middleman, therefore preventing misselling. Apply online anytime anywhere, even when using your smartphone as our transparent, fast, secured, and mobile-friendly website can get you insured in no time at all. Apply today! When you buy your insurance online, you buy it directly from us. There's no need for a middleman, so we don't need to pay our for commissions to agents, distribution costs, or any other fees compared to when you purchase insurance offline. We're passing these savings on to you so you get excellent coverage at low cost. Need help with your insurance policies? Have you met the mandatory insurance requirements for your state? Give us a call and we'll be able to help with all your insurance needs so you can focus more on your business without worrying about these. Equipment Breakdown covers the costly physical and financial damage that could result from equipment failure. 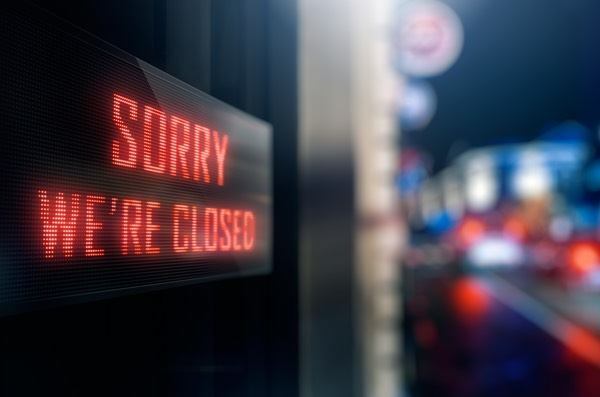 The insurance covers the loss of income when your business closes temporarily as a result of the equipment breakdown. Business Interruption covers the loss of income that your business suffers after a covered disaster. The disaster could be due to fire, flood, and selected natural disasters which forces your business to close. It doesn't just cover the loss of income but also the recurring expenses, employee salaries, and the cost of moving your business to a temporary location. Professional Liability insurance covers the full costs of defending against a negligence claim by your client and the damages awarded in such a civil lawsuit. General Liability insurance provides coverage for customer injuries, personal injuries, damage to other party's property, advertising mistakes, libel, slander, and other related risks. The insurance covers the defense and court fees including litigation and judgment awarded by courts. Why does your Tire Retreading business need insurance? In this industry, companies are involved in tire retreads, rebuilding, and recapping. Your tire retreading business needs insurance as it protects it from the many known and unknown risks that your business could face. It covers your business from costly lawsuits, medical expenses, and any other expenses by paying for these in full. Your business assets and even your personal assets are protected when you have the right insurance. What risks does your Tire Retreading business face? The tire that you've retread for a customer has been responsible for an accident in which the customer was involved. Your customer is suing your business and wants you to pay for the damages including for their medical expenses. Your tire retreading equipment suddenly malfunctions and your business production has suddenly been put on halt. The income that you would have earned is much smaller that day as a result. A fire starts in your warehouse and causes all of your merchandise to be burned to ashes and makes your equipment unusable. How much does insurance for a Tire Retreading business cost? There is no fixed cost of insurance for a tire retreading business as the cost is defined by the number of employees you have, the size of your business, and many other factors. If you want to find out the cost of your insurance fast, apply online and we'll send you your free insurance quote.